I think of my play with ‘effigies’ as a way to invoke their lives. The life given to them is a gesture of both magic and fantasy. We at once have a deep sense of recognition, often alongside revulsion and humor, at experiencing this deliberate and often primitive animation of these forms. DESIRE ARLETTE HOLMAN lives and works in Oakland, CA. In 1999, directly after completing her BFA in sculpture at California College of the Arts, Desire attended the Skowhegan School of Painting and Sculpture. She graduated with her MFA from UC Berkeley in 2002. While at UCB, she received Eisner awards in both video and photography. In 2004, she was a Santa Fe Center for Photography’s Vision Project Competition Winner. Her work has been exhibited at the San Francisco’s Yerba Buena Center for the Arts & New Langton Arts; the Berkeley Art Museum; UC Davis’ Nelson Gallery & Fine Arts Collection, The Hudson Valley Center for Contemporary Art, Syracuse University, Los Angeles’ Loyola Marymount University; Milan, Italy’s BnD Studios and Toronto, Ontario’s The Drake. 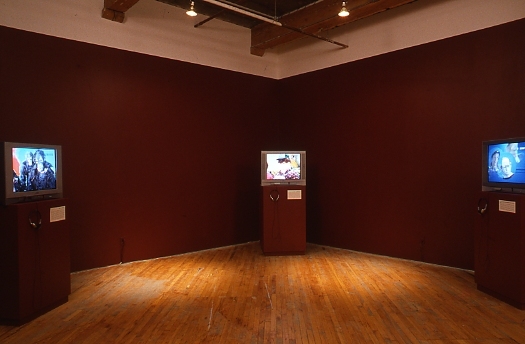 In 2005, her work was the focus of a solo exhibition at the San Francisco Arts Commission Gallery. Holman is also an arts educator and has taught at UC Berkeley, St. Mary’s College of California and Diablo Valley College.